In Taiwan, there are many restaurants selling American, Japanese, and Thai food. In Taichung, there is a mysterious little restaurant hidden in an alley in the Feng Chia business district where they sell Tibetan cuisine. We decided to solve the mystery of Little Tibet. One day, as we passed by Qinghe Street, a quiet and narrow street near school, we were attracted by a colorful door with special stripes; it was very exotic. The sign outside said, “Little Tibet.” We decided to have our lunch there. After we entered the restaurant, we found that the space was very clean and not too crowded. It was big enough to sit 40 people. The Indian music we could hear combined with the dim light to create a mysterious Tibetan Buddhist atmosphere. Looking around the interior, we saw five-colored “Jie-jie” cloth in blue, , red, yellow, and green, hanging from the ceiling. The Jie-jie represents the sky, clouds, air, earth, and water. 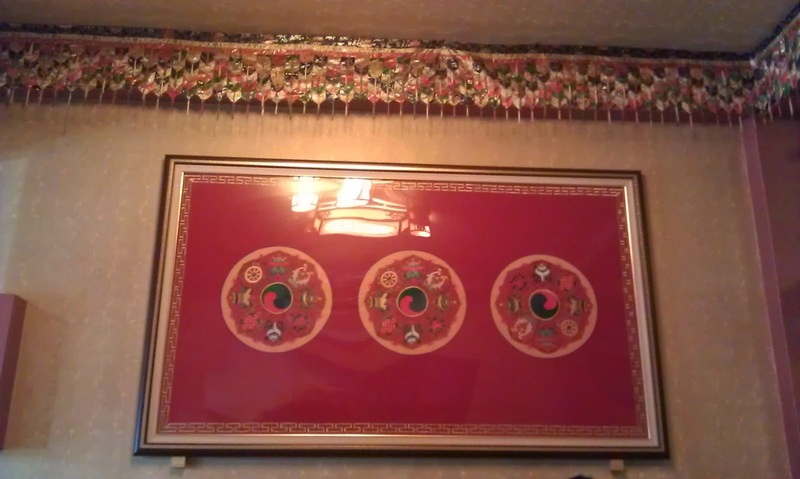 Also, there are eight auspicious patterns on the restaurant walls, the tables, and even on the dishes. The patterns include an umbrella, a pair of golden fish, a conch, a treasure vase, a lotus, an infinity knot, and a victory banner. These all mean “luck” in Tibetan Buddhism. We enjoyed this mysterious atmosphere very much. Little Tibet offers Tibetan dishes and Indian dishes. You can order a la carte, a set meal or a business lunch. The menu includes main dishes, rice and naan. The price is between NT$200 to NT$300 per dish. Set meals include appetizer, soup, main dish, rice or naan, dessert, and drink. The price for each set meal is a bit more than NT$300, but it will make you really full. The Little Tibet business lunch includes main dish, rice or naan, and drink. Its price is between NT$100 to NT$130, but it is offered only from Tuesday to Friday. 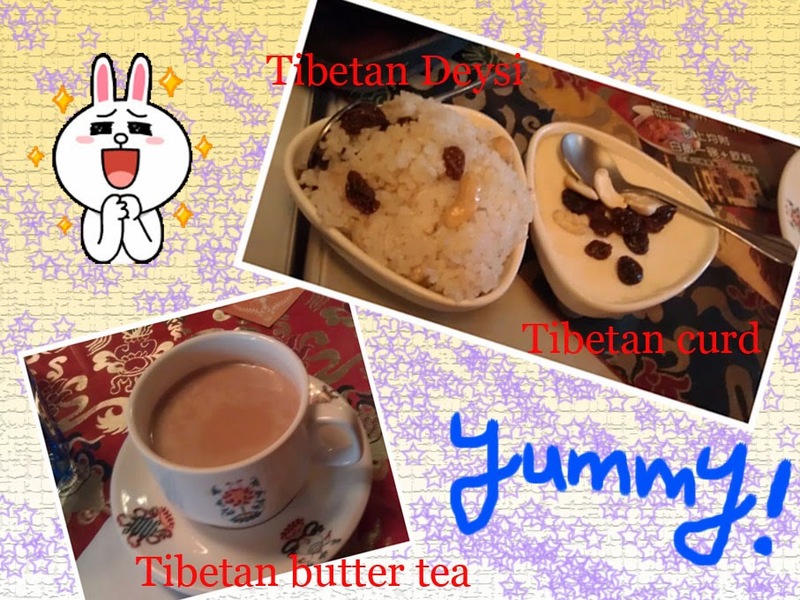 Besides these main dishes, Little Tibet also offers traditional Tibetan foods like Tibetan deep fried beef pastry, desserts such as Tibetan curds, and drinks like Indian milk tea or Tibetan butter tea. On the day we took our adventure, we were a group of six. 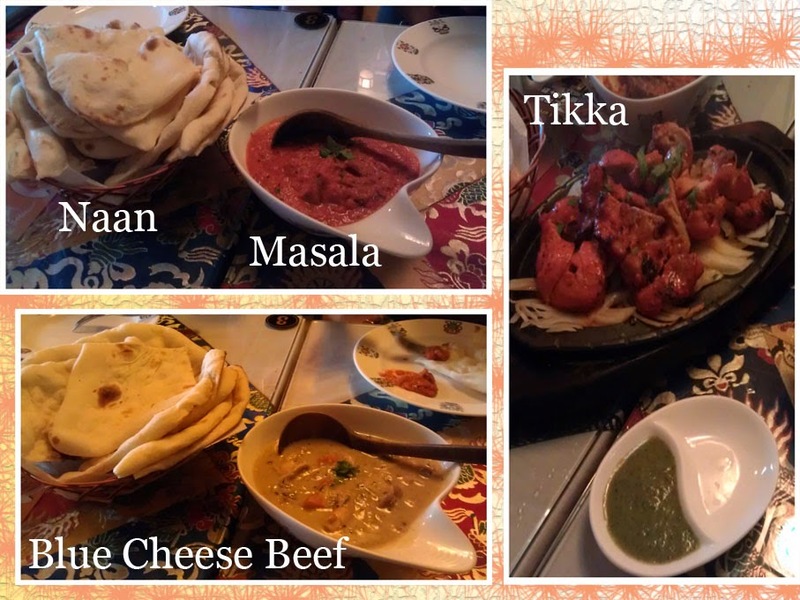 We wanted to try many dishes, so we chose a la carte and shared our main dishes with each other. We ordered blue cheese beef and Masala mutton curry. The blue cheese beef looked like beef and vegetables in sauce. Unlike the kind of cheese you find on pizza, the blue cheese had a heavy dried cheese taste. It tasted good, but a little salty for us. We thought it would be more suitable with rice than naan. Then we were served the menu’s VIP - Masala mutton curry, a popular dish at Little Tibet! It looked like Bolognese sauce, and tasted spicy and a little sour. The mutton was very tender. We all loved this dish. We also ordered a special dish - Tikka with lemongrass sauce, Indian tandoor BBQ. It was orange and smelled great. There were spiced chicken and onions. Its sauce had a strong flavor and the chicken was very juicy. We decided to try the Tibetan butter tea because we were curious about it. It was similar to milk tea, but we never thought that milk tea tasted SALTY, just like salty cream. It was very special! After we had finished these delicious dishes, we couldn’t NOT have dessert! Tibetan Deysi is rice with nuts and raisins on the top. It tasted like sweet glutinous rice cake. Another dessert we tried was Tibetan curds. It is panna cotta with nuts and raisins on the top. It tasted very mellow and melted in our mouths. Everything was great at Little Tibet! The waitress told us that the manager is Tibetan and the chef is Indian, and that’s why they offer Tibetan and Indian foods. She also explained the meaning of the patterns on the walls and tables and how they are related to their religion - Tibetan Buddhism. She also explained how Tibetans seldom eat vegetables, so they drink Tibetan butter tea to gain the vitamins they lack. As you can see, our waitress was very friendly and the service was great! 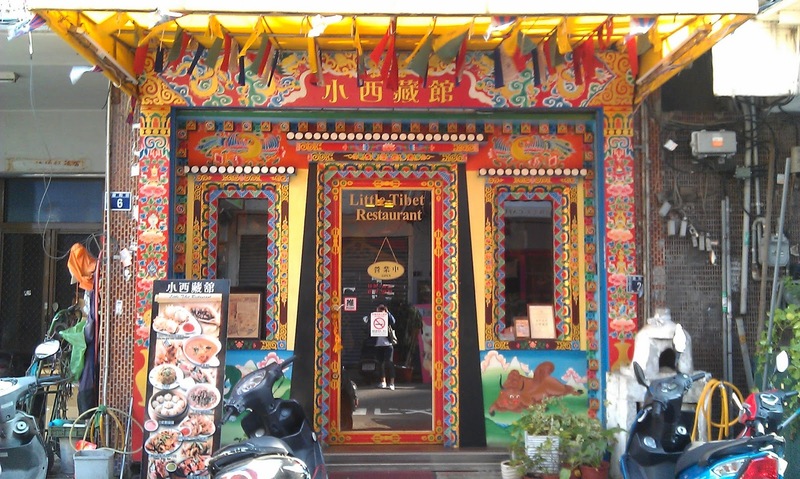 At Little Tibet Restaurant, we not only ate many delicious foods but also learned a lot about Tibetan culture. It was a wonderful experience for us. If you want to try something different, we recommend that you not miss Little Tibet. If you want to go to Little Tibet, go with your friends, then you can taste more different kinds of dishes and spend less money. Call your friends and come try the amazing food at Little Tibet!